OAKLET is a Professional Letting Agency, Property Management and Maintenance Company Located in County Durham, North East England. We are a fresh company to the area, bringing a new approach to property letting and management services, with over 16 years experience dealing with tenants, landlords, lettings and property management. We bring together some very unique skills from a various range of sectors including: property lettings, tenant debt recovery, eviction, property management, housing repairs, housing advice, advocacy, and security services. 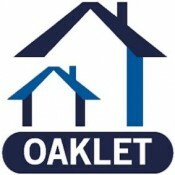 This vast experience brings together some very unique skills to the services OAKLET can bring to the landlord and tenant, which will distinguish us from our competitors, from the initial stage of preparing the property for rent, to finding and assessing tenants, to dealing with problems if they arise between the landlord and tenant, right through to the daily management of the property. OAKLET is able to offer a package which is suitable to the level of service required from basic tenant finder service, right through to full property management. We give a clear break down of all our fees so that you know exactly what you are paying for and what services you will receive. Tenants can be confident that letting from OAKLET they will receive a first class service, after all a happy tenant is a long term tenant, so when it comes to needing advice or assistance right through to any problems tenants may have, you can be assured OAKLET will help the tenant every step of the way from the start of the tenancy. As we specialise in a letting agency service & property management, our resources are not spread thinly between services such as those of an estate agent, developers or investor companies, we put our resources firmly with the landlord and the tenant with the sole purpose of achieving a long term and happy letting of the property. OAKLET quite uniquely also provides a number of services to other letting agents & property management companies such as tenant finder, maintenance & repairs, dealing with problem tenants, key holding, and inventory reports. All of the services we provide to letting agents and property management companies are provided discreetly with the upmost regard for the company’s brand image and reputation.